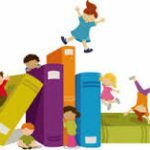 Tuesday Tales Preschool Program begins tonight at 6:30 p.m. in the Children’s Library. We have some awesome new story readers! Come and meet our first reader tonight.Tuesday Tales is for children who are two through five years old and their parents. See you there!